(STATS) – The players invited to the unveiling of the Walter Payton and Buck Buchanan awards help headline the 2017 STATS FCS All-America Team, announced Tuesday. The two most prestigious player awards in the FCS will be announced at the STATS FCS Banquet and Presentation on Jan. 5 in Frisco, Texas – the eve of the national championship. Senior quarterbacks Jeremiah Briscoe of Sam Houston State and Chris Streveler of South Dakota and UC Davis junior wide receiver Keelan Doss will decide the Payton Award. Doss was named a first-team All-American, and the Payton results will determine first-team quarterback between Briscoe and Streveler. Senior defensive ends Andrew Ankrah of James Madison and Darius Jackson of Jacksonville State and Western Illinois senior linebacker Brett Taylor – who are in the top three of the Buchanan Award voting – also were first-team All-Americans. 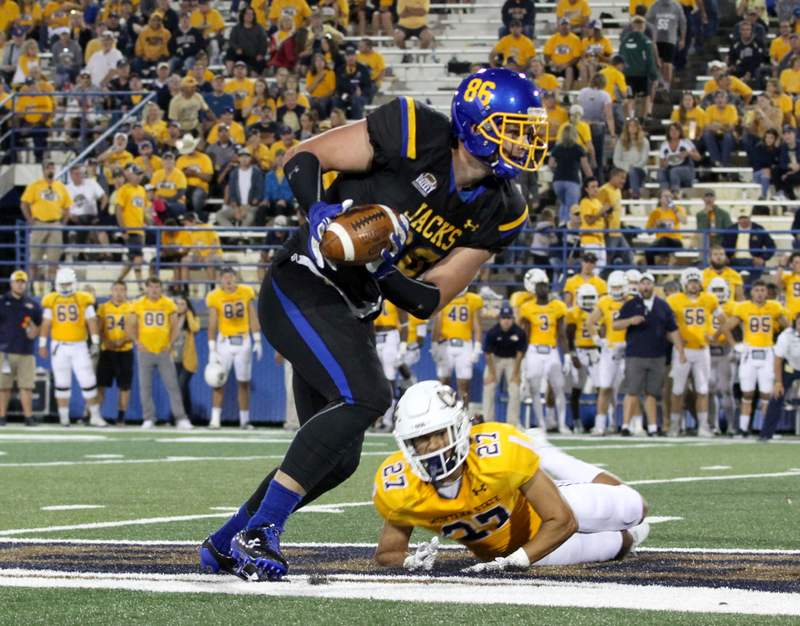 The All-America team featured players from 54 schools and all 13 FCS conferences. National semifinalist Sam Houston State had the most selections with five followed by Central Arkansas, Jacksonville State, James Madison, North Dakota State and Weber State with four each. The Missouri Valley Football Conference led all conferences with 17 selections. 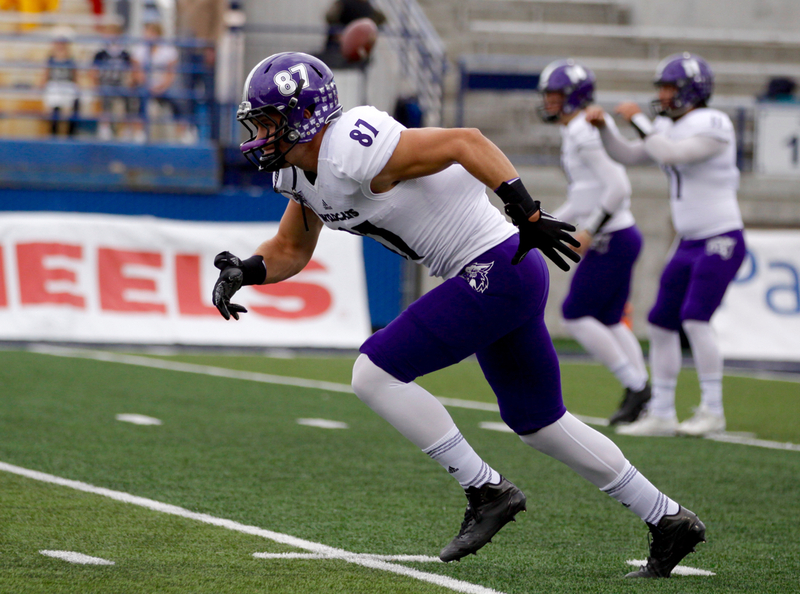 Three players from the Big Sky Conference earned first-team All-American honors, led by league Defensive MVP Taron Johnson, a multiple-time All-Big Sky cornerback for Big Sky champion Weber State. 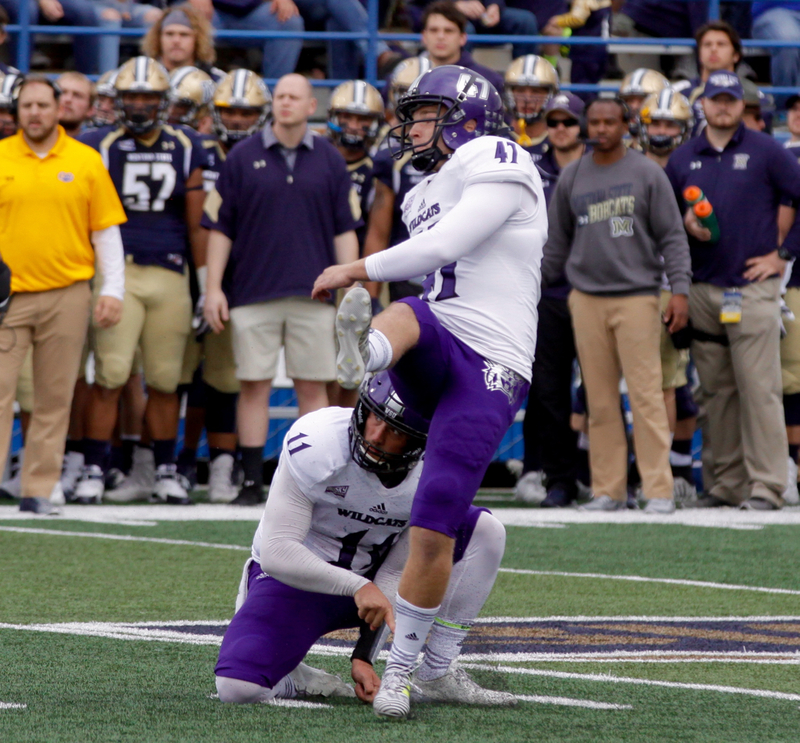 WSU senior tight end Andrew Vollert, true freshman kicker Trey Tuttle and senior punt returner Xequille Harry represented Weber State as second-team All-Americans. Doss, the leading wide receiver in all of college football in 2017, and Idaho State senior guard Skyler Phillips were the other first-team selections from the Big Sky. Cal Poly senior fullback Jared Mohamed, the Big Sky’s leading rusher last season, highlighted the third-team selections from the Big Sky. Northern Arizona senior Elijah Marks, Southern Utah sophomore center Zach Larsen and Idaho State senior inside linebacker Mario Jenkins also earned third-team recognition. North Dakota junior John Santiago made the All-American team for the third straight year, this time as an all-purpose player on the third team. Briscoe, the 2016 Payton Award winner, ranks No. 1 in the FCS with 5,003 passing yards and 45 touchdown passes, while Streveler averaged an FCS-best 373.4 yards of total offense per game, accounting for 43 touchdowns. 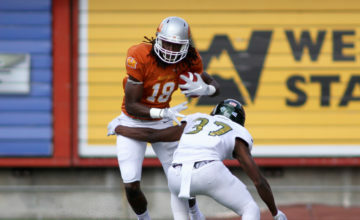 Doss led all FCS receivers in the regular season with 115 receptions and 1,499 receiving yards. Ankrah hopes to help James Madison win a second straight national title on Jan. 6, adding to his 54 tackles, 15 1/2 tackles for loss and 8 1/2 sacks. 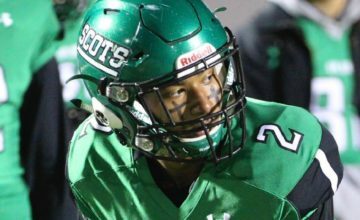 Jackson totaled 20 1/2 tackles for loss, seven sacks and 23 quarterback hurries. Taylor’s 162 tackles and 13.5 tackles per game lead the nation. The rest of the first-team offense included running backs Dom Bragalone of Lehigh and Josh Mack of Maine; fullback Cal Daniels of Stony Brook; wide receivers Nathan Stewart of Sam Houston State and Justin Watson of Penn; tight end Dallas Goedert of South Dakota State; and offensive linemen Austin Kuhnert of North Dakota State, Justin Lea of Jacksonville State, Brandon Parker of North Carolina A&T, Skyler Phillips of Idaho State and Aaron Stinnie of James Madison. On defense, the other first-team selections were defensive linemen P.J. Hall of Sam Houston State and Jonathan Petersen of San Diego; linebackers Nick DeLuca of North Dakota State, Darius Leonard of South Carolina State and Sione Teuhema of Southeastern Louisiana; and defensive backs Mike Basile of Monmouth, Davontae Harris of Illinois State, Taron Johnson of Weber State and Tremon Smith of Central Arkansas. The first-team special teams selections were Nicholls place-kicker Lorran Fonseca, Incarnate Word punter Joe Zema, North Dakota State long snapper James Fisher, Southeastern Louisiana kick returner Juwan Petit-Frere, Harvard punt returner Justice Shelton-Mosley and Western Carolina all-purpose back Detrez Newsome. 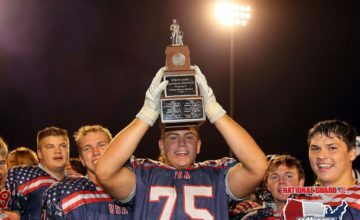 The All-America team included 18 players who were named offensive or defensive player of the year in their conference. *-To be determined by the winner of the STATS FCS Walter Payton Award on Jan. 5.